Check out User Voice’s most recent and new project that we are excited to be a part of! User Voice are excited to be one of ten partners across Europe involved in a 24 month project. 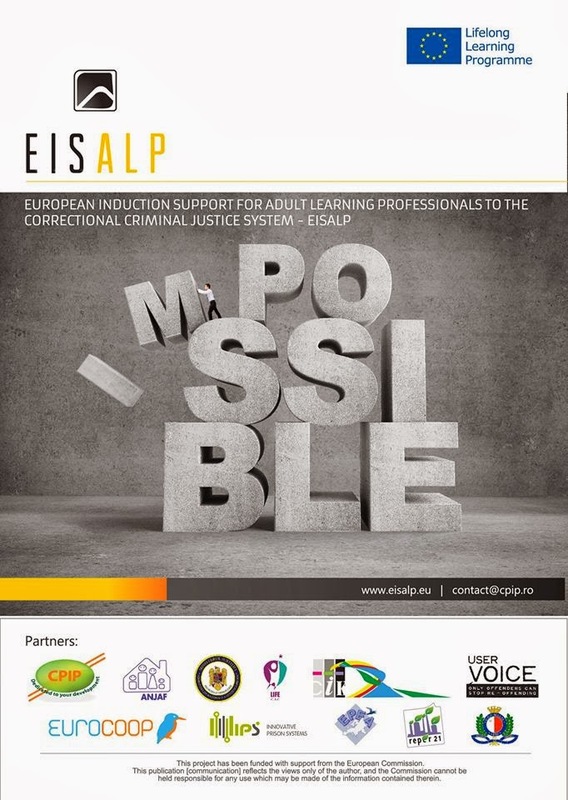 In short, the project aims to improve the standard of prison education and the quality of teaching within prisons in the EU. A comprehensive plan has been designed to provide prison educators with specialised training in order to increase prisoners' chances of rehabilitation and reintegration. Diligent study shows that at both European and national level, there is no consistent approach to what a prison teacher is, what the key skills are and how to assist best adult learning professionals in becoming one. Therefore, this project takes the challenge to show that a mix of public institutions and private organisations can turn a potentially disadvantaged profession into a successful and rewarding qualification by providing tailored resources through common initiatives and collaboration. This project will last for 24 months and finish at the end of 2015. There are 9 other European partners that are involved in this project and we are all working together, having been assigned particular 'work packages' to make sure this project is a success. User Voice is the partner that is representing the UK and the UK criminal justice system. Please also follow the project on Facebook, Twitter and LinkedIn. All these pages will host discussions and we regularly post interesting articles and reports about prison, prison education and the CJS so get commenting, too!